Hair care brand Shea Moisture has recently brought out a body care range with scents and ingredients such as African Water Mint & Ginger, Coconut & Hibiscus, Raw Shea Butter, 100% Virgin Coconut Oil, African Black Soap and Fruit Fusion & Coconut Water. Their products contains Fair Trade ingredients and if they are anything like their hair care sisters, then this is going to be a hugely popular range. I was kindly sent the Shea Moisture 100% Virgin Coconut Oil Body Wash and Body Lotion and they smell divine. Anything scented with coconut always reminds me of being on holiday, so it is one of my favourite fragrances. With the cold weather we have been having recently, my skin has been pretty dry and slightly itchy, and oil-based products are the only ones which seem to massively make a difference. The 100% Virgin Coconut Oil Daily Hydration Body Wash contains exotic Acacia Senegal, 100% Virgin Coconut Oil and Coconut Milk and even though it is a body wash which leaves you lovely and clean and smelling delicious, this also works wonders on dry skin as it is slightly oily. 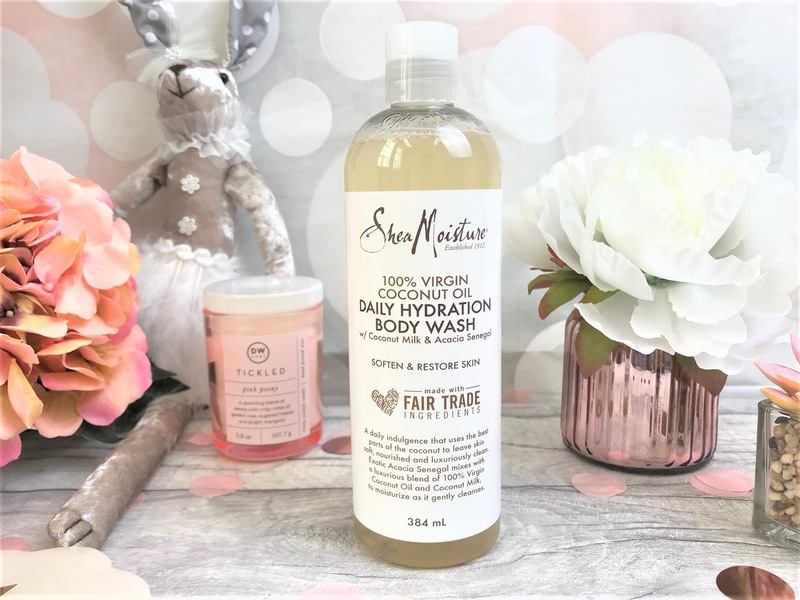 It leaves my skin super nourished and soft, and I notice that throughout the day my skin doesn't get as dry as it normally would, so this has definitely been a winner for me. You get 384ml per bottle and so this did last me quite a long time and it has a handy flip-up top which makes getting the product out super easy. After using the Body Wash, I then like to apply the Shea Moisture 100% Virgin Coconut Oil Daily Hydration Body Lotion, which again comes in a very generous 384ml size. 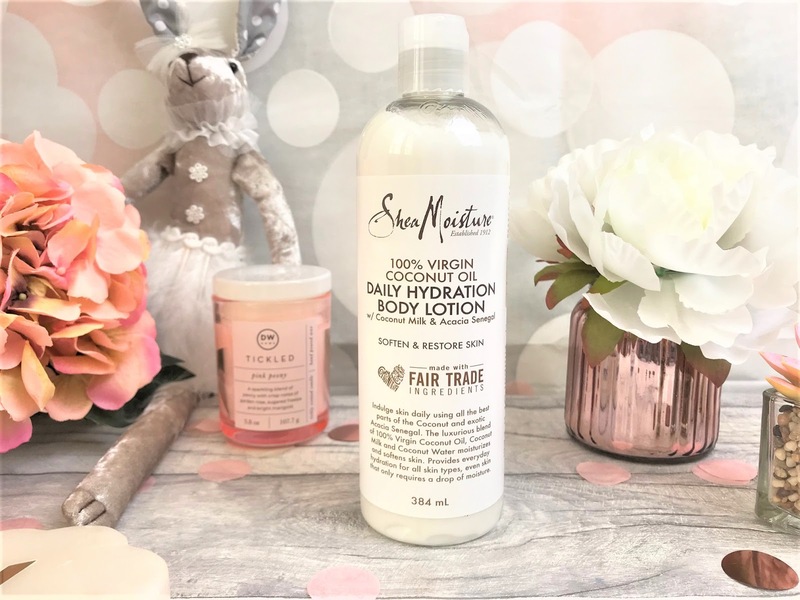 The Lotion has more of a balmy texture to it, which I prefer as it melts into the skin almost instantaneously so there is no waiting around for it to dry before you get dressed. As it has that balmy texture, there is no greasy residue left over once it has melted into the skin and it helps to protect the skin's moisture levels during the day. I love it when a product has quality ingredients because you can really tell a difference. You can find the new Shea Moisture Body Care range in-store and online at Boots. Both of these products retail for £10.99 each.